B142-20L. Blancett Meter 2" Gas Quicksert Impeller Flow Meter, Stainless Steel. Low flow rate version: 7-70 ACFM; 10-100 MCFD; 423-4230 MBH; 365 pulses per ACF (12900 pulses per m3). B142-20M. Blancett Meter 2" Gas Quicksert Impeller Flow Meter, Stainless Steel. 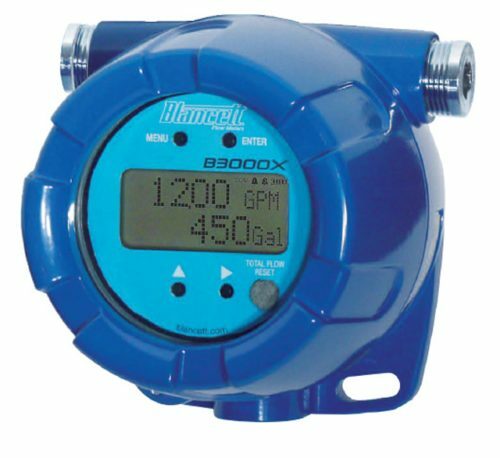 Medium flow rate version: 14-210 ACFM; 20-300 MCFD; 846-12690 MBH; 190 pulses per ACF (6710 pulses per m3). B142-20H. 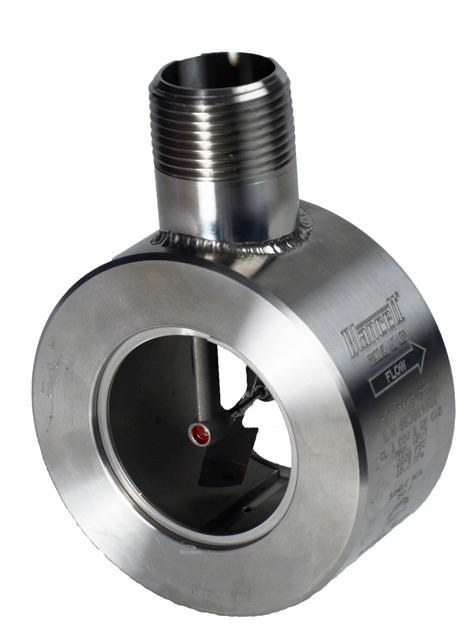 Blancett Meter 2" Gas Quicksert Impeller Flow Meter, Stainless Steel. high flow rate version: 35-350 ACFM; 50-500 MCFD; 2115-21150 MBH; 85 pulses per ACF (3000 pulses per m3). B111113. 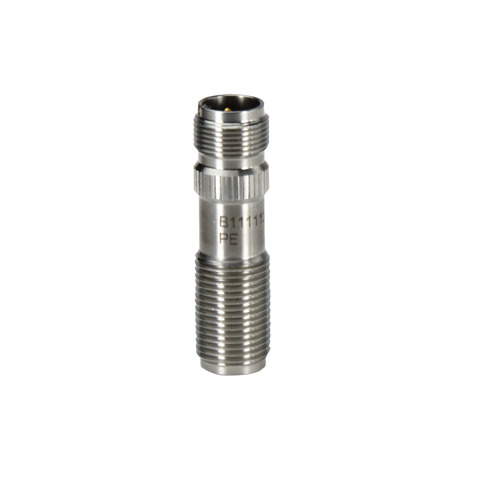 Magnetic pickup for B142 Gas Quicksert flow meters. B142-20-150KIT. 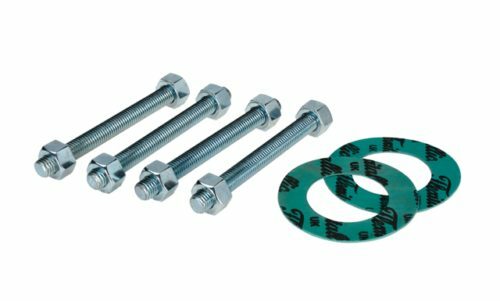 Bolt and gasket kit for B142 Gas Quicksert flow meters. B30AM-CS. 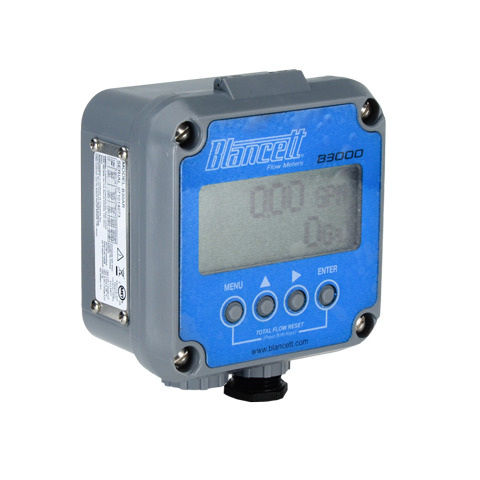 Blancett B3000 Flow Monitor, Standard Housing, Advanced Output, Meter Mount. UL, CSA. B30AR-CS. Blancett B3000 Flow Monitor, Standard Housing, Advanced Output, Remote Mount**. UL, CSA. **Remote cable is required for all remote mount meters. B30BM-CS. 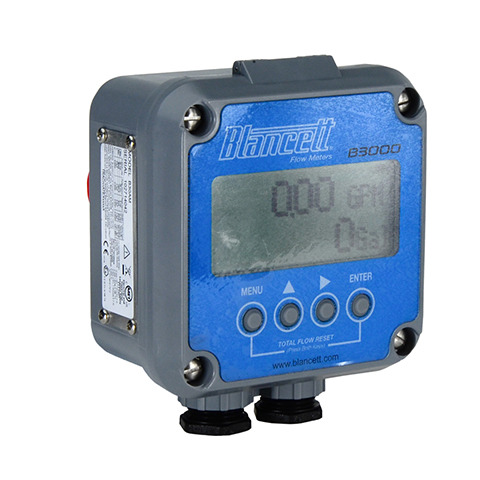 Blancett B3000 Flow Monitor, Standard Housing, Basic Output, Meter Mount. UL, CSA. B30BS-CS. 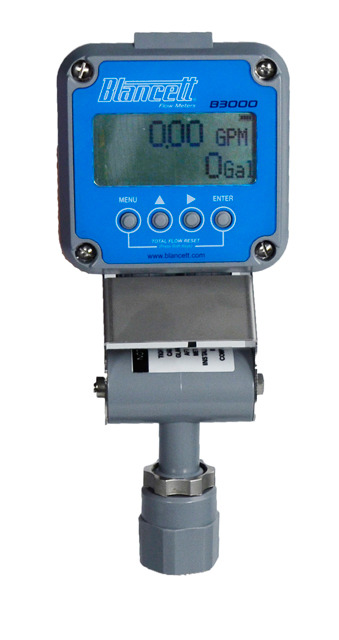 Blancett B3000 Flow Monitor, Standard Housing, Basic Output, Swivel Mount. UL, CSA. B30ZR-CS. Blancett B3000 Flow Monitor, Standard Housing, Basic Output, Remote Mount**. UL, CSA. **Remote cable is required for all remote mount meters.